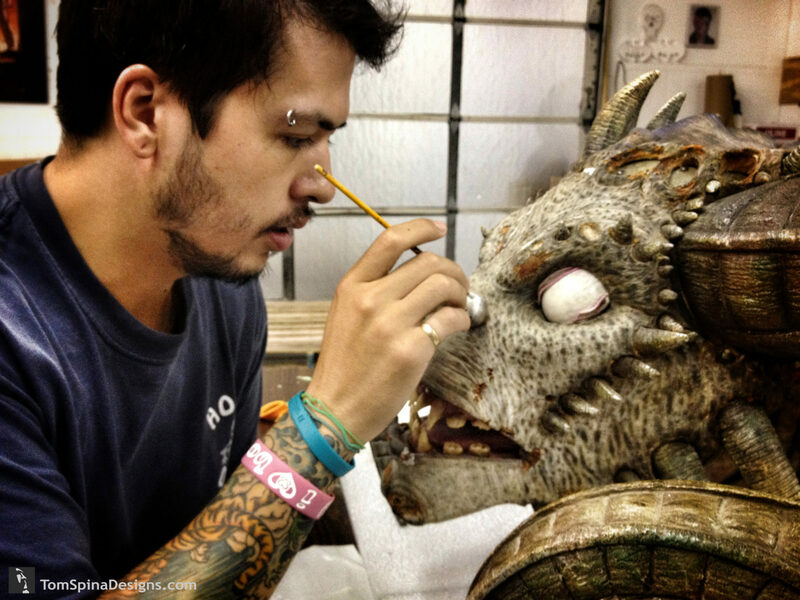 Whether a Hollywood hit or cult classic,we’re always proud of our foam latex movie prop restoration. 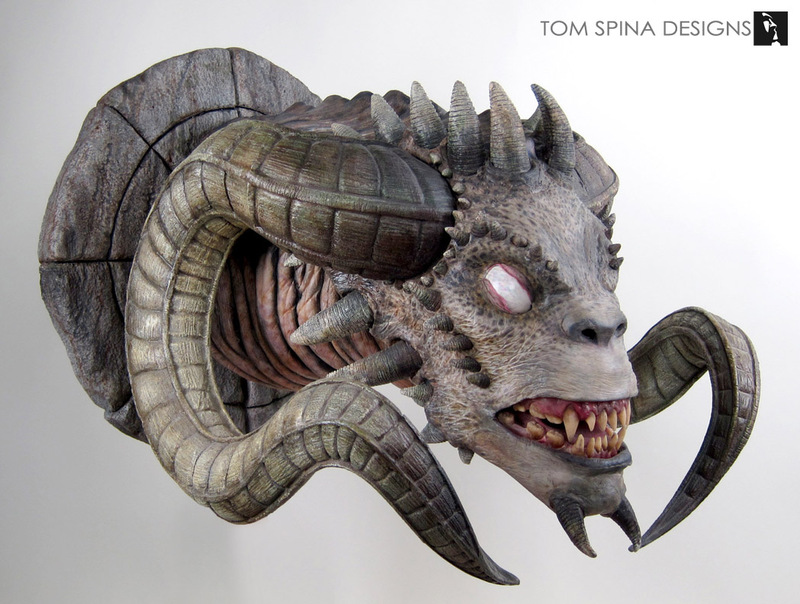 Here’s a creepy Soulkeeper Demon from the 2001 movie. 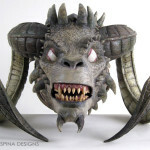 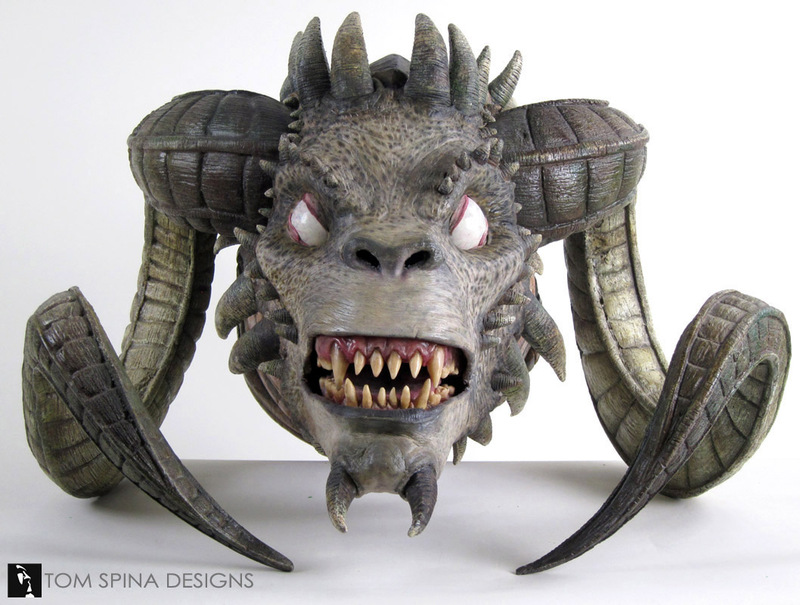 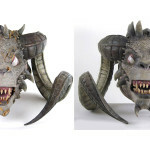 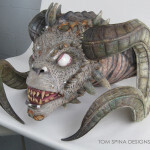 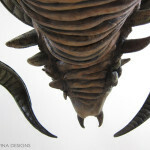 Another foam latex movie prop restoration, this piece is an incredible Soulkeeper demon (from the 2001 movie). 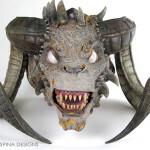 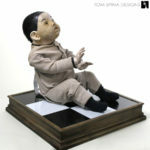 The prop was made for the movie by the legendary KNB EFX Group. 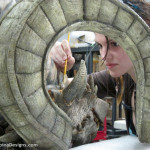 They are the team behind the special makeup effects and creatures in the Narnia series and even the Walking Dead. 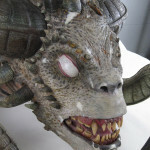 The very large foam latex and fiberglass creature head had sustained a bit of post production damage. 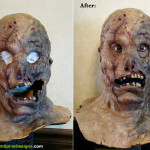 Foam latex masks can often become quite fragile over time. 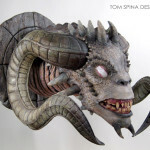 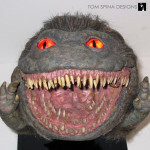 The material is wonderfully soft and stretchy when freshly made (which is why it remains a go-to choice for movie effects artists). 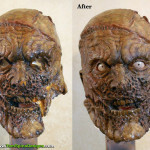 However, after years have passed, foam latex often needs restoring. 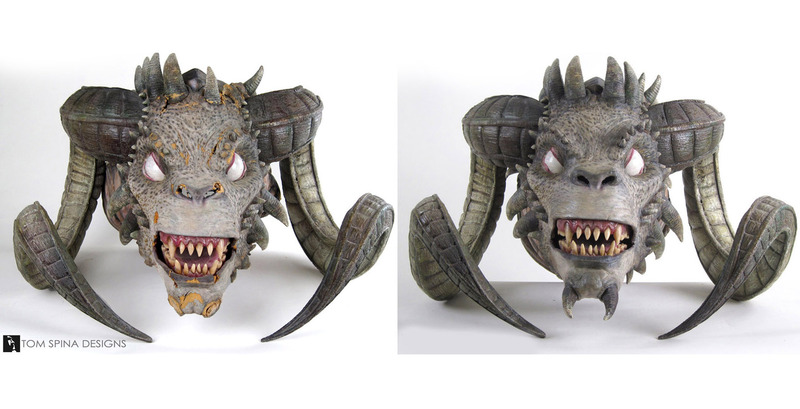 Restoration artist Patrick Louie carefully patched this original prop mask from the movie Soulkeeper. 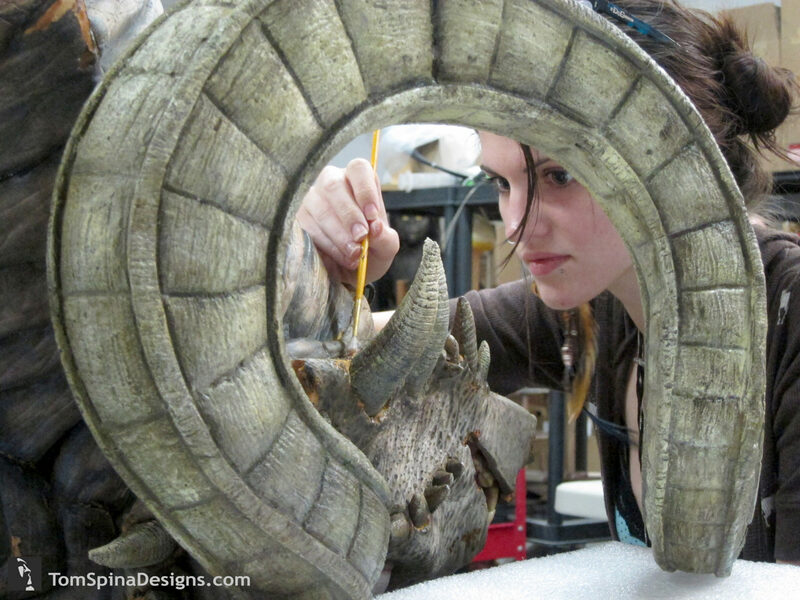 The movie prop’s skin had cracked and torn in places, and we stabilized those areas, then rebuilt them with archival materials, texturing the repairs to blend in with the original KNB sculpture. 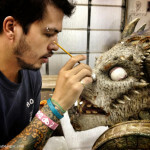 After patching, the foam mask was spot-painted, where we paint only the repairs to seamlessly disappear beside the original effects team’s paint. 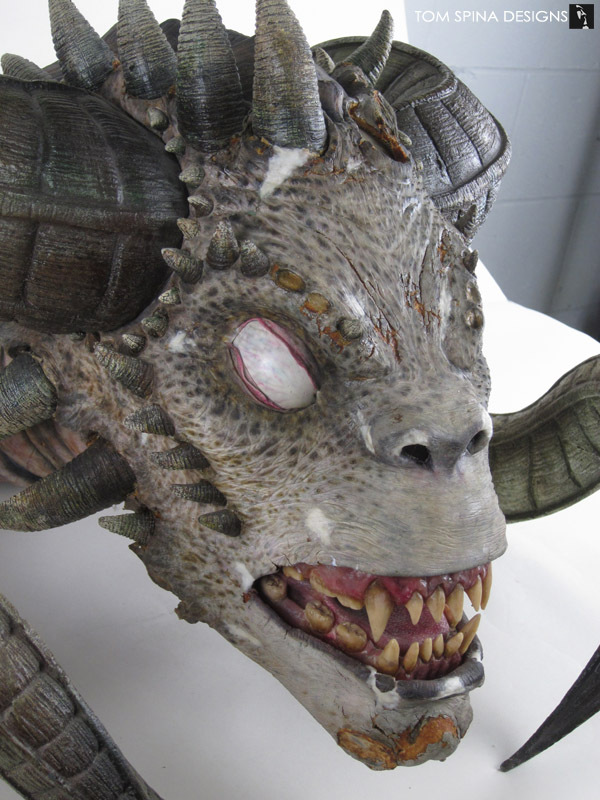 The prop head was also missing quite a number of small horns from around its face. 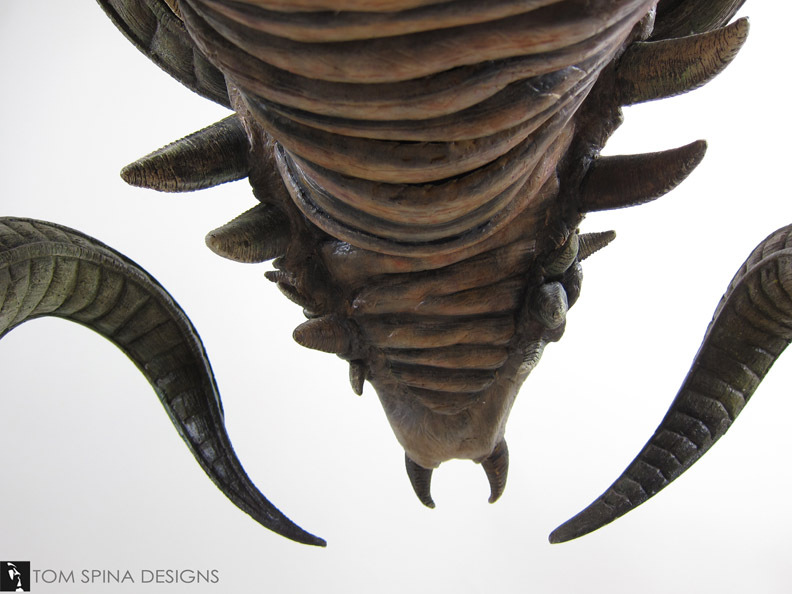 As part of our restoration, we recreated those by creating silicone molds of some of the remaining horns. 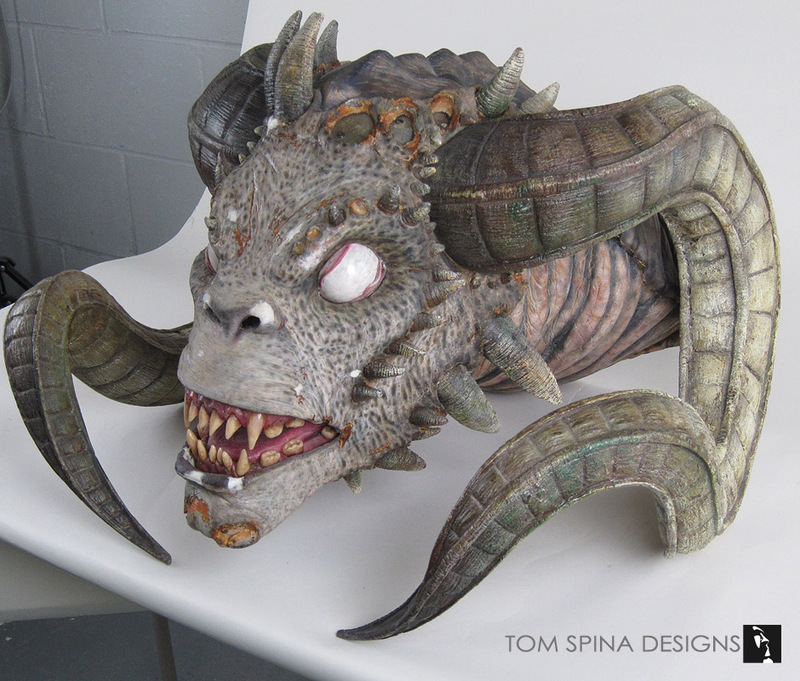 Once cast in resin, we had pieces that were a perfect match for the style of horns used, and each was hand painted and secured onto the prop. 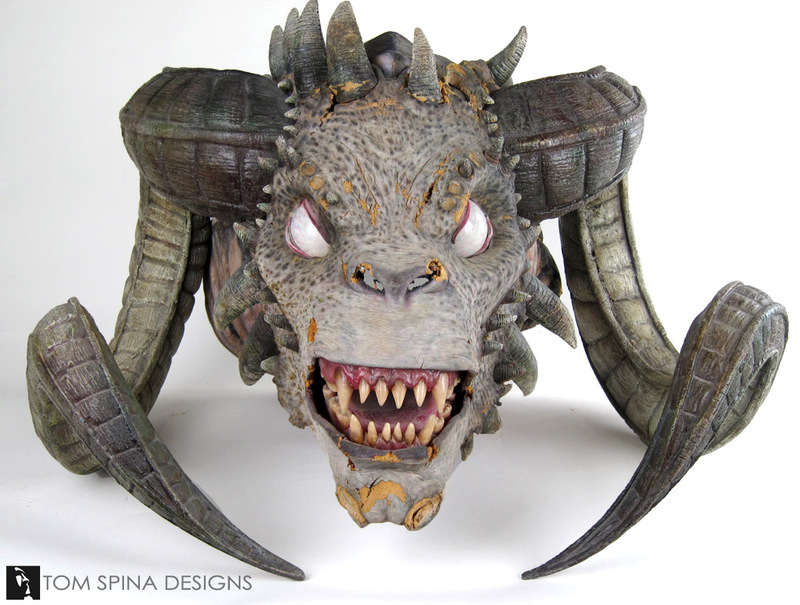 In addition to our restoration of the movie prop, we created a welded wall mount with a decorative carved foam, faux stone plaque to give the ultimate display a suitably gothic look. 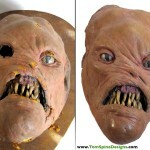 Haven't seen this creepy cult film?